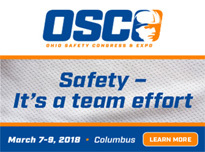 Safety Council presents fascinating programs every month with speakers and a delicious lunch. Besides our monthly meetings, there is a yearly expo and you may qualify for the Ohio BWC rebate!! Download our enrollment form and get started today by becoming our newest member. Welcome to the website of the Salem Area Safety Council. 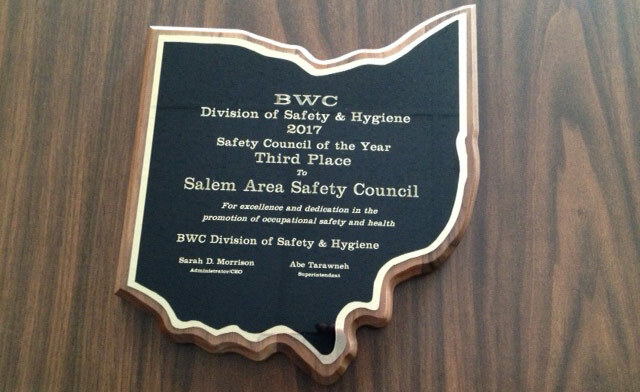 The Salem Area Safety Council, a division of the Salem Area Chamber of Commerce, is co-sponsored with the Ohio Bureau of Workers' Compensation Division of Safety & Hygiene. The year long safety campaign encourages workers to develop and maintain safe working habits. Monthly meetings are held the third Friday of each month beginning at noon with lunch and a guest speaker. Meetings are generally over by 1:00 p.m. Reservations are always required by calling the Salem Chamber at 330-337-3473.